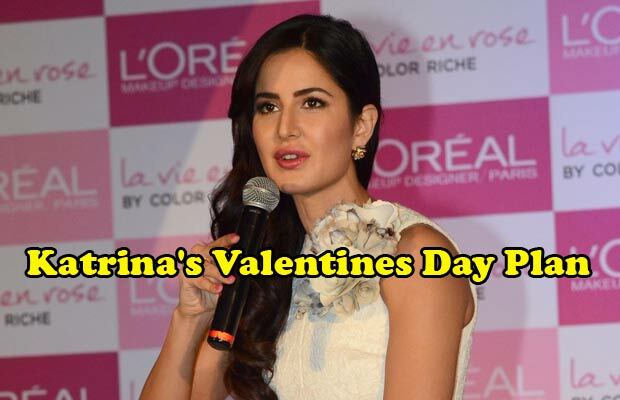 Katrina Kaif Expecting Flowers From Someone On Valentine’s Day, And It’s Not Ranbir Kapoor! [tps_footer]Katrina Kaif as we all know is single now. After parting ways from actor Ranbir Kapoor, Katrina has been bombarded with questions regarding the same. The Fitoor actress who is undoubtedly going through an emotional turmoil is nonetheless putting up a brave face to all the speculations and rumors. Recently, the actress was swarmed by questions about her personal life at a product launch event. Previous articleWhoa! Hrithik Roshan’s Reply To Kangana Ranaut On Calling Him Silly, Will Just SHUT Her Up! Next articleAnurag Basu Opens Up On Blaming Salman Khan For Ranbir- Katrina’s Jagga Jasoos Delay!